A number of interviews were conducted for the project on Michael Klinger. In the majority of cases they exist both as an audio file and as a transcript - in the case of Linda Hayden this is an edited transcript and there is no transcript for the interview with John Hamilton. The interviews with Mike Hodges, Moshe Mizrahi and Michal Bat-Adam are in written version only as these were conducted by e-mail. With the exception of the first interview with Mike Hodges, conducted by Tony Klinger, all the interview were conducted by Andrew Spicer and Anthony McKenna. We intend to interview Tony Klinger again on 12 December 2011 and this will be added to the archive as an audio file and transcript in the new year. This interview with Mike Hodges was by Tony Klinger based on questions suggested by Andrew Spicer. Spicer then e-mailed Hodges with some supplementary questions. Mike Hodges is the director of numerous highly regarded television programmes and feature films. He adapted and directed Get Carter (1971) and wrote and directed Pulp (1972) for Klinger. These two interviews were conducted by email. Moshé Mizrahi the director of Rachel's Man and his partner Michal Bat-Adam responded to questions they were sent by the interviewer, Dr Andrew Spicer. 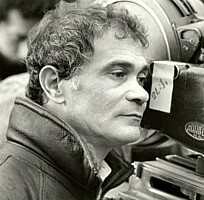 Moshé Mizrahi was the most famous of the new Israeli directors emerging at the end of the 1960s. He was the director of Rachel's Man (1975), a Biblical love story produced by Klinger. Michal Bat-Adam starred in numerous films by Mizrahi and went on to become Israel's first female film director. She played Rachel in Rachel's Man. Tony Klinger is the son of Michael Klinger and worked closely with his father from the early 1970s onwards. Tony is also a successful producer, director and screenwriter in his own right. Gerry Arbeid has been a producer, production manager, assistant director and editor in both the British and Canadian film industries. He was a close friend of Michael Klinger and worked with him during the 1960s. 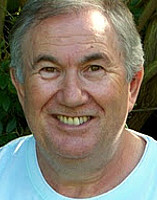 John Hamilton is the author of Beast in the Cellar: The Exploitation Film Career of Tony Tenser (FAB Press, 2005). Tony Tenser was Klinger's partner at Compton Films from 1960-1966. Linda Hayden starred in Klinger's production of Baby Love (1968) when she was only 15. She starred in two further films for Klinger: Barcelona Kill (1971) and Something to Hide (1972) and appeared in some of the 'Confessions' films. 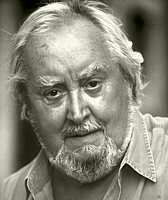 Tony Williams worked for the Rank Organisation in the 1970s, including acting as Executive in Charge of Production for Rank's in-house film production unit, Rank Film Productions (RFP).